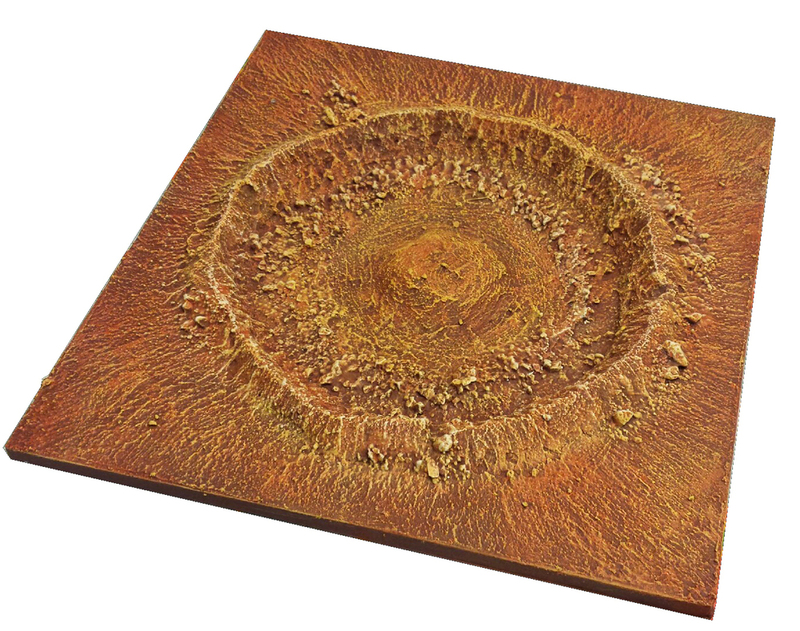 Enhance your terrain set with an impressive crater. The Impact Crater tile includes one big crater, with the smooth style of craters caused by large asteroid impacts. Each Tile is 30cm x 30cm (1' x 1') and 1cm deep; it's made completely out of resin.